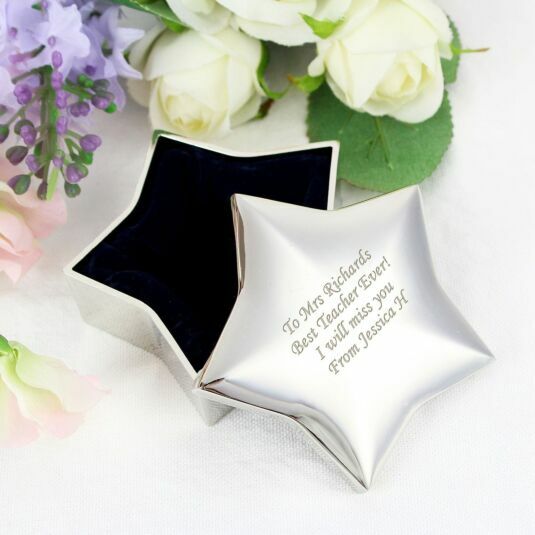 An elegant and classy piece of metal work in all its shining glory, this star shaped trinket box is a sweet and touching token to show your love. 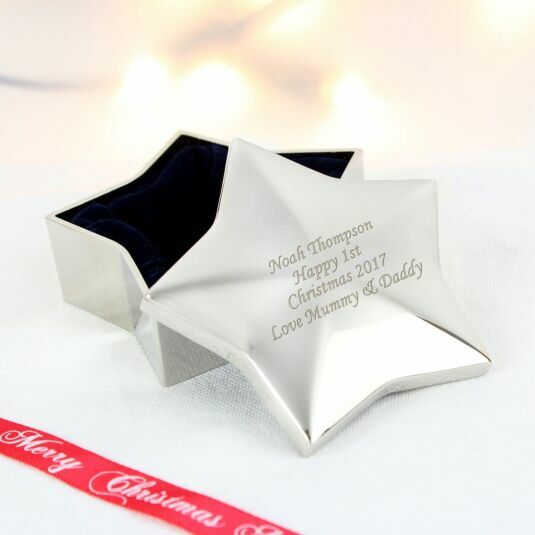 This trinket box is silver-plated and features a mirror effect throughout. Under the removable lid is a blue flock interior lining, adding to the elegance of the piece. This trinket box is the perfect size for treasuring a much loved item, memories or collectables. 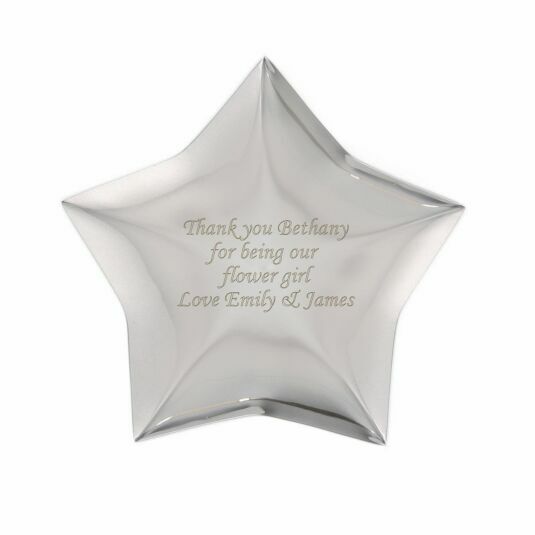 This would make the perfect gift for a christening, wedding or birthday. Add a message across 4 lines, with a maximum of 18 characters per line, to appear on the lid.